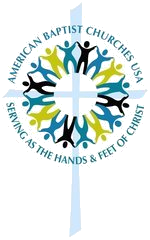 To give you a better understanding of our beliefs as a Baptist Church, we have posted an article by American Baptist Churches USA listing 10 facts about Baptists. You can read the full article here. “The 1.3-million members and 5,200 congregations of American Baptist Churches USA share with more than 42 million Baptists around the world a common tradition begun in the early 17th century. That tradition has emphasized the Lordship and atoning sacrifice of Jesus Christ, believers’ baptism, the competency of all believers to be in direct relationship with God and to interpret Scripture, the importance of the local church, the assurance of freedom in worship and opinion, and the need to be Christ’s witnesses within society. The following facts are representative of the tradition and practice of American Baptists. 2. For American Baptists the local church is the fundamental unit of mission in denominational life. 3. American Baptists partake of two ordinances: believers’ baptism and The Lord’s Supper. 4. American Baptists believe that the committed individual Christian can and should approach God directly, and that individual gifts of ministry should be shared. 6. American Baptists support religious freedom and respect the expressions of faith of others. 7. American Baptists acknowledge that God’s family extends beyond our local churches, and that God calls us to cooperative ministries. 8. American Baptists have been called to be Christ’s witnesses for justice and wholeness within a broken society. 9. American Baptist Churches USA celebrates the racial, cultural and theological diversity witnessed within its membership.